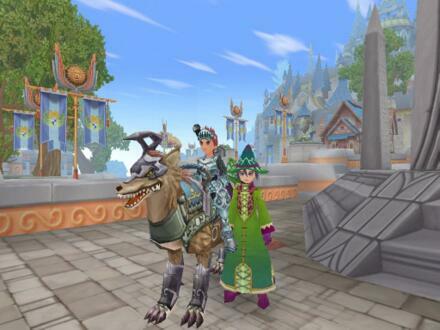 Grand Fantasia is a great game Free to Play, which combines the best elements of MMORPGs and virtual pet genre to offer players a unique gaming experience and unrivaled. Located in a large but carefully magical world, Grand Fantasia provides players with a variety of customization options to create their own heroes and mystical companions Sprite. These companions will travel with the player Sprite, collection of resources for them and even making weapons or armor! In Grand Fantasia the players initially start as a rookie, but soon you can choose between 4 classes. Gaining experience for killing a wide variety of monsters, completing different missions to conquer challenging dungeons players will ultimately have 8 classes available. Players can form clans, and the conclusion of the missions of different union, these unions can grow in size and prestige. Grand Fantasia offers players a wide range of interesting features like player-versus-player (PvP), an auction house, amazing montages, many chat options and thrilling, and a series of missions to entertain players of all ages . Play NOW!